The post Okeechobee Bass Fishing: Okeechobee Fishing Report 9/27/18 appeared first on Lake Okeechobee Bass Fishing at it’s BEST! Top Fishing Guides. The post Okeechobee Bass Fishing: Okeechobee Fishing Report 9/15/18 appeared first on Lake Okeechobee Bass Fishing at it’s BEST! Top Fishing Guides. The post Okeechobee Fishing Guide-Okeechobee Fishing Report 9/7/18 appeared first on Lake Okeechobee Bass Fishing at it’s BEST! Top Fishing Guides. Ted Gibbs and his 84 yr. old father from Brooklyn, MI enjoyed there day on Lake O catching 37 bass on 5 dozen large wild shiners in under 4 hours. The fishing has been awesome this summer despite all the bad press on the Lake. Algae or no algae the fish are still here and the fishing is still phenomenal. Come see us this winter! 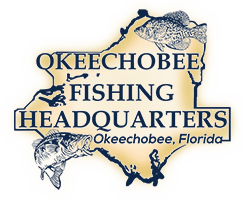 The post Okeechobee Fishing Guide-Okeechobee Fishing Report 9/12/18 appeared first on Lake Okeechobee Bass Fishing at it’s BEST! Top Fishing Guides.